'Upstairs Downstairs' Takes A New Step Back In Time In the 1970s, the BBC's Upstairs Downstairs became one of the most popular British television series to date. The show took a leisurely look at a Britain in which class distinctions were firmly embedded and everybody knew their place. Now, Upstairs Downstairs is back with an only slightly updated take. In the 1970s, the BBC's Upstairs Downstairs became one of the most popular British television series to date. The show took a leisurely look back at a Britain in which class distinctions were firmly embedded in the culture and everybody knew their place: upstairs were the titled and wealthy Bellamys, and downstairs were the working class heroes who made their lives as smooth and elegant as possible. And now, Upstairs Downstairs is back. On Sunday, PBS's Masterpiece Classic will be airing an Upstairs Downstairs sequel with an almost entirely new cast — almost because actress and series co-creator Jean Marsh is returning to her role of Rose, the upstairs maid from the original series. 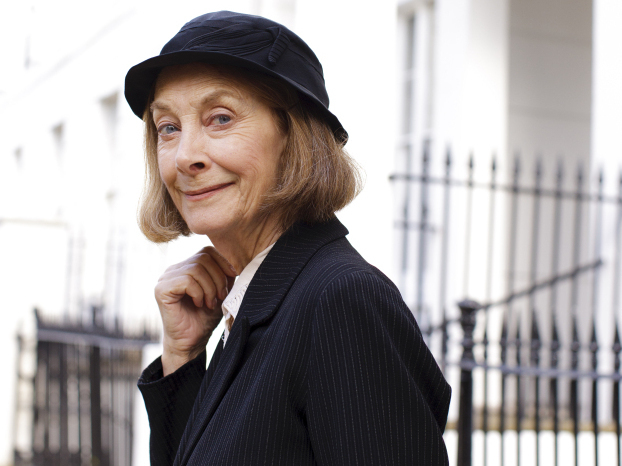 Jean Marsh created the original Upstairs Downstairs BBC series with friend and actress Eileen Atkins in the 1970s. Marsh created the original Upstairs Downstairs with her friend actress Eileen Atkins, who appears in the sequel as the eccentric mother-in-law. Both women came from working class backgrounds and both had parents who were servants. Marsh says they got the idea for Upstairs Downstairs while watching a period drama on television. "We'd been watching something full of rich people, rich food, beautiful clothes and we had chips on our shoulders, I suppose. And we thought, who did all this work? Who cooked? Who washed up?" she says. "All those things we put together and thought, 'Let's write something about the downstairs people, the servants, the people who serve.'" Now, the Bellamys are gone but their wonderful house at 165 Eaton Pl. remains. Rose, meanwhile, is running an employment bureau for servants when she's hired by the house's new family, the Hollands, to find a staff for Eaton Place. That's the backstory Marsh wrote for the show's new writer, Heidi Thomas, to account for the years between the original and the sequel. "Heidi and I talked about Rose's past," Marsh says. "It had to be adjusted a bit and it was Heidi's idea that I wouldn't step too far from what I had done. And it was just enough a step up the ladder [that] I think it was believable." Writer Heidi Thomas wanted Rose to serve as the bridge between the old and new series. But first she had to decide when the new series would take place. "When I started my historical research, it just became obvious that we should pick up the thread in January of 1936 because that was the beginning of a remarkable year in British history," Thomas says. "It's known as 'The Year of [The] Three Kings:' King George V died in January; his son Edward VIII ascended the throne immediately and by Dec. 11 of 1936, he had abdicated because of his love for Mrs. Wallis Simpson; and George VI had ascended [to] the throne. I just loved the idea that we could have one year in 165 Eaton Pl. covering three kings." Of course, the show is more than just a history lesson; there are lovely rooms to look at, at least one tiara and some of the most beautiful maternity dresses you'll ever see. But according to Thomas, that link to history is what makes it all work. "For these characters, 1936 is the present," Thomas says. "We know what's going to happen in 1939 — they don't." The characters don't yet know what Adolf Hitler was capable of — that's still in their future — and therein lies the writer's challenge. "You constantly have to remind yourself that you know things that the characters don't. And if you can get that into the drama, I think that becomes very exciting," Thomas says. "It can feel quite fresh and sometimes a little bit dangerous."